The Kansas Court of Appeals is sort of like the middle sibling of the justice system. They don't enjoy the same level of prestige as the state Supreme Court, and they're not as familiar to everyday folks as municipal or district courts. 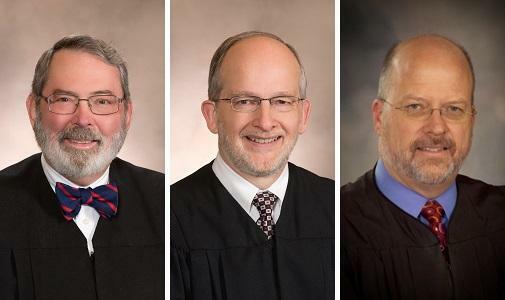 Today, we asked three appeals court judges about their place in Kansas' justice system, and discussed how single-issue advocacy groups and judicial selection rules affect public perception of this often overlooked court. Today, a look at how a new initiative is gearing up to combat youth violence in Kansas City, Kansas. Then, we get some insight into the Kansas City Municipal Domestic Violence Court. The U.S. Department of Justice's STOP Violence Against Women initiative recently awarded the court "mentor" status — the first municipal court to earn such a distinction. 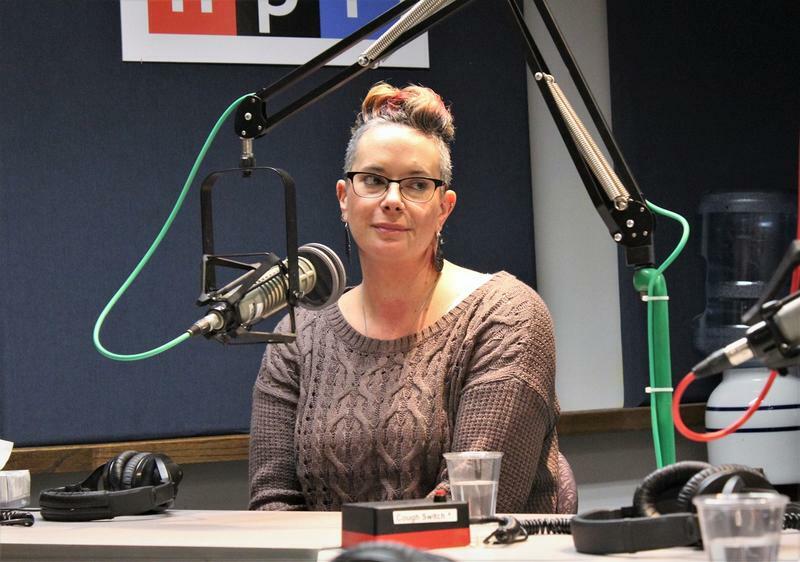 We take a close look at election results from Kansas, Missouri, and the nation with a panel of political journalists. 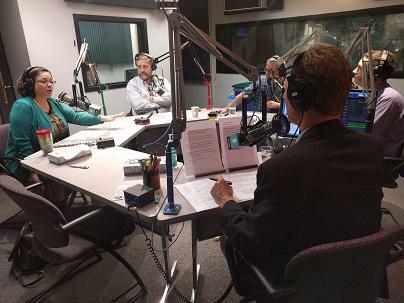 We're also joined by Kansas City 4th District Councilwoman Jolie Justus, U.S.
Kansas Rep. James Todd (R-Overland Park) provides an insider perspective on the Kansas Legislature as we discuss education funding, judicial appointments, and the budget. This is an excerpt from Statehouse Blend. You can listen to the full episode here, or by subscribing on iTunes. They were not the best of friends but, as the two first female Supreme Court Justices, Sandra Day O'Connor and Ruth Bader Ginsburg were allies on key cases affecting the rights of women. Linda Hirshman, author of Sisters in Law, describes the lives and relationship of these two remarkable women. 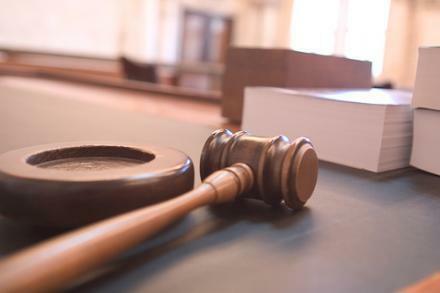 Last week, Kathryn Gardner was the second judge confirmed under Kansas’s new method of selecting appellate court judges, and her confirmation gives the state a look at the system Gov. 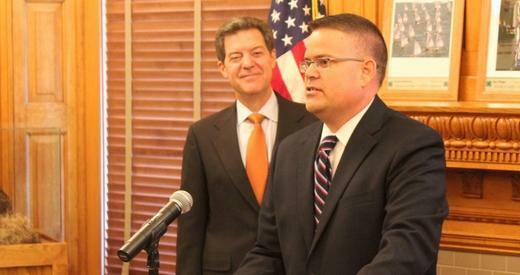 Sam Brownback wants to use for choosing state supreme court justices. Washburn law professor Michael Kaye says he thinks Gardner was a good choice. “When I think of her temperament, I think she would be an excellent judge,” he says. With just three weeks left before the upcoming midterm elections, a group called "Kansans for Justice" surfaced with the aim of persuading voters to oust two of their state Supreme Court justices. "Your Kansas Supreme Court justices are using their political beliefs to rule against sound court cases," the group's website said. "On November 4th, vote No and remove Kansas Supreme Court Justices Eric Rosen and Lee Johnson from the bench." In the upcoming election, Missouri voters will decide whether to change how judges are chosen in the Show-Me State.